KLM revealed that it will be increasing flights to Toronto for Summer 2008. Frequencies are being raised to double daily operations from its AMS hub. All flights will be flown using the Boeing 777-200ER. Previously, in Summer 07, KLM flew 12 weekly flights to YYZ i.e. daily B 744s + 5 weekly B 772ERs. Lufthansa will be launching 2 new long haul destinations from the on set of the Summer 2008 timetable. The 2 new cities are Calgary and Seattle both flown nonstop from its FRA hub. SEA - new daily flights to start from March 30th 2008 using an A 333 nonstop from FRA. 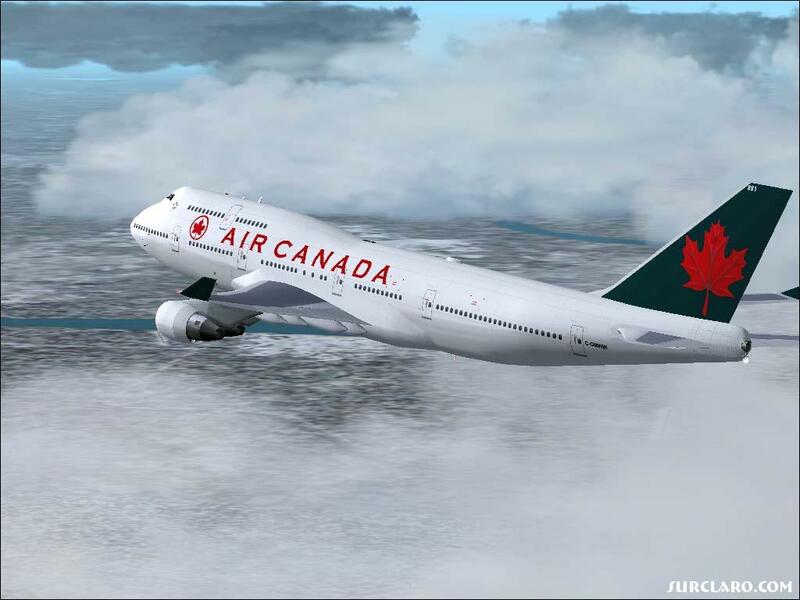 YYZ - will be served daily with an A 340-300 till April 30th; thereafter with an A 340-600. MAA - capacity will be reduced from daily B 744s in the winter to daily A 346s in the summer effective March 30th 08. IAH - in summer 07, flights were flown using an A 346 however in Summer 2008, a B 744 will be used. Singapore Airlines has further revealed what routes its 10 Airbus A 380s will fly on in 2008-09. 10th A 380 to fly daily SIN-Australia-SIN...most likely MEL. Whats interesting to note is that SFO will be the first U.S. destination getting the A 380 ahead of LAX which has shocked many people. Royal Air Maroc (RAM) officially announced that it will be increasing its flights to Montreal, Canada by adding an additional 2 weekly flights to its Winter 2007 schedule. Thus RAM will fly 6 weekly B 763ERs nonstop from its CMN hub to YUL effective December 2007. Cathay Pacific is rumored to announce shortly its plan to increase its Toronto bound flights from daily to 10 times a week, all flown nonstop from HKG to YYZ. No set date has been leaked by the airline. Insiders at CX HKG HQ also reveal that capacity to YYZ is also likely to be increased by the A 343 being replaced by the larger A 346 and then eventually the B 773ER in late 2008. BKK - increased to double daily services from Dec 1st...all using MD 11s. HKG - will maintain 4 weekly nonstop flights using the MD 11. PVG - product upgrade to be witnessed by having the A 343 deployed on this route from Dec 2nd onwards. Currently a MD 11 flies this route for AY. PEK - remains at nonstop daily MD 11 services. CAN - will see 4 weekly MD 11 flights. NRT & NGO - both cities to be maintained at 4 weekly A 343 nonstop services from HEL. JFK & KIX - both cities will maintain 5 weekly flights each respectively using the MD 11. DEL - will see daily MD 11 flights. Virgin Atlantic has informed the media that is seeking to place a large order worth nearly US$ 3 billion with Boeing or Airbus for 10 ultra large aircraft for which the airline has shortlisted the B 747-800 and the A 380. VS mentions that these new aircraft will be used as a direct replacement for its eight B 747-400s (leisure configuration) which are based at LGW -London Gatwick Airport. The order is expected to be announced by May 2008. Virgin's order for six A380s in 2000 was stalled last October after construction delays at Airbus. The company remains committed to the purchase and the aircraft will be delivered after 2013. FYI...VS's LGW based B 744s accomodate between 386 and 451 passengers and currently fly to vacation destinations including Las Vegas, Orlando, Barbados, Cuba, Antigua and Jamaica. This order will witness an interesting battle between Boeing and Airbus as the former needs more "blue chip" airlines (besides LH) to order the B 748 in order to gain confidence in the commercial market. Airbus too needs the VS order to add up to its earlier commitment for 6 A 380s because it needs more than 300 ordered to cover the development costs to break even on the project. It is also interesting to note that VS has now become an "environmentally friendly" airline which it attributed to its large order for Boeing 787s few months ago. Flying 2 engine airplanes harms the environment less than 4 engine ones and with Virgin Blue of Australia ordering 6 Boeing 777-300ERs, its parent company should also look at this aircraft type to replace the LGW based B 744 fleet. The B 773ER can easily seat between 380-430 pax in VS's 3 class layout (J + P + Y), can fly to all of its leisure market routes nonstop from LGW by having up to 25% less operating costs + can carry the same amount of cargo in the belly. Lastly, the B 773ER is cheaper to purchase than the B 748 / A 380 and can also be used in the future as a direct replacement for VS's A 340-600 fleet as the latter's operating costs on long haul flights is higher than the B 773ER! Northwest Airlines confirmed earlier on last week that it will be launching another new trans-atlantic route from one of its main U.S. hubs to Europe. This has now been revealed to be Minneapolis-Paris (MSP-CDG) nonstop using an Airbus A 330-300 on a daily basis. Flights are confirmed to start from April 8th 2008. JFK-AMS/FRA/BRU...all 3 cities see reduced capacity by having a daily Boeing 757-200 being used instead of a daily Boeing 767-300ER. One can conclude that DL makes a loss flying to AMS/BRU/FRA from JFK. Since it already has flights to AMS & FRA from ATL & CVG, it should stick to those than just un-necessarily adding flights from JFK to play ball with other airlines. Its just not worth it sending B 752s from JFK to AMS/BRU/FRA when its competing EU & U.S. carriers fly the same route with larger and more comfortable wide bodied aircraft. DL should suspend flights from JFK to these 3 EU airports and allocate their B 752ERs to more profitable and less competitive routes. Why not use the B 752ERs on some medium density JFK-Latin America/Central America routes. AA uses their AB6s on some JFK-Central America routes and does well on them especially in the cargo belly. Air China has announced that it will add three new flights and restructure the seven existing weekly services between China and Australia from December 3rd 07. It will cut the daily PEK-PVG-SYD flights to four times a week and add three weekly non-stop Beijing-Sydney services. Meanwhile, Melbourne, for the first time, will receive three weekly PEK-PVG-MEL direct services. The Melbourne-Shanghai flights will operate on the same days as the Sydney-Beijing direct flights giving the carrier daily services between Australia and Shanghai. Air India's new nonstop BOM-JFK flight continues to struggle generating reasonable load factors ever since its launch in early August. The average loads on the 238 seater B 772LR have been approximately 45% load factor, on the outbound BOM-JFK sector and 36% on the inbound JFK-BOM sector. On the other hand, Delta's load on its JFK-BOM flight is approximately 70% where as 9W's EWR flight averages 65%. Air Canada has announced that it will be suspending its summer seasonal flights to Manchester, UK from Summer 2008 onwards. Currently, AC flies a daily seasonal service between YYZ & MAN using an old Boeing 767.